Tinker Camp operates four one-week camps throughout the month of July, starting on the first Monday after Independence Day. 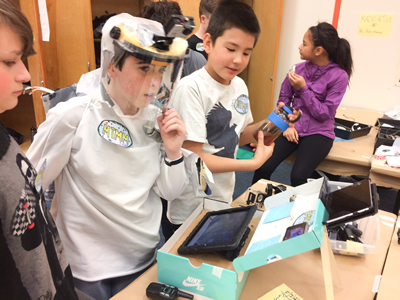 Tinker Camp fosters courageous, passionate, and divergent thinking in children so they will be successful and happy as they become the highly skilled generation in a STEM intense future. We do this by offering an open studio, full of supplies and tools, which gives tinkers opportunity to explore. Over the top of this studio we add a narrative or big question. This provides a context for tinkering while allowing each child to experience tinkering, building and design in his or her own style while adding an element of play. We also teach educators to do the same. What if you could become a superhero, a super spy or a magical fairy with a costume to match? During a week of Tinker Camp you will get to create your own character and create a suit or costume to match. Does your super hero have a utility belt with a collection of gadgets? Does your super spy have high tech gear built into her pockets and sleeves for stealth? Does your fairy have movable wings and twinkling lights? Our tinkering studio, filled with fabrics, sewing machines, LED lights and a whole collection of tools and materials will be your work space. Everyone loves a carnival. There are exhilarating rides, unusual characters and animals and challenging games. 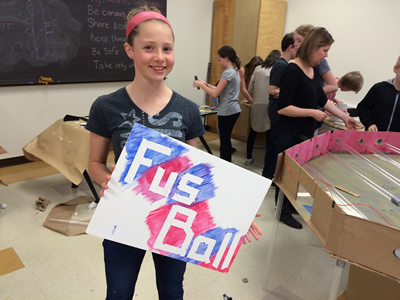 At Tinker Camp we will put on a carnival that you will design, build and run. Want to give a shot to creating your very own dunk tank? Want to invent mini-carnival rides from used toys? Want to make your very own unique stuffed franken-animals with glowing eyes? Have you ever dreamed of making hand cranked mechanical toys? Then join us for a week of carnival fun. You'll also get a chance to try out juggling, tight-rope and stilt walking, and you'll participate in a variety of theatrical and artistic experiences all based on the fascinating world of The Carnival. Come one, Come all! We have done this in the past, but we plan on taking it to another level. With more time to play, we will explore more electronics, more realistic launch and more intense spaceorama! Imagine if it was your responsibility to save humanity. We will be doing just that by creating a spacecraft capable of carrying a select crew into the furthest reaches of space. Using motors, tape, lights and anything in our mad collection of materials and tools we will undertake a number of tinkering challenges designed to get us all into space. We have had flight-based themes before at Tinker Camp, but nothing like this. For our older tinkers, we take flight to the next level. 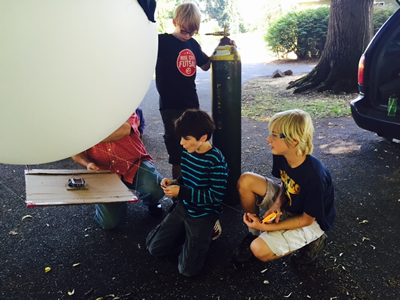 The sky's the limit in this intensive session where we integrate motors into airplanes, fire solid fuel and compressed air rockets, and even launch and track a data-collecting balloon.